Reality TV worlds collide! Engaged Bachelor in Paradise stars Evan Bass and Carly Wadell get a little frisky at a raucous, celeb-filled pool party for "My House," the new music video for HGTV stars Jonathan and Drew Scott’s single featuring country star Eric Paslay. In the lively clip, the reality couple — who met, fell in love and got engaged on season 3 of the ABC spinoff hit — are caught smooching in a photo booth at a wild pool party thrown by the Property Brothers duo at their Las Vegas home. Also in attendance: Paslay, who sings along; his fellow country stars RaeLynn and Lindsay Eli; the twins’ older brother, J.D. Scott; and veteran comedian Carrot Top. Also: cast members from Thunder From Down Under and Fantasy strip down and mug for the cameras. Right before the holidays, Bass and Wadell, 29, jetted off to the Atlantis Resort in the Bahamas to celebrate his 34th birthday in mid-December. Although Bass told Entertainment Tonight on January 3 “we haven’t set a date yet," Wadell chimed in that they have started planning for a 2017 wedding. Bass previously told E! News last September that he asked former costar and current Bachelor Nick Viall to officiate. The pair — who got engaged while filming in Mexico last summer — are currently living together with his three sons, Ensley, 15, Liam, 11, and Nathan, 8, in Nashville. So far, Wadell told ET, “the boys were so kind to me from the moment I met them, and it’s gotten better and better and better. We really love each other." Best Bachelor Moments Of All Time! One hundred percent of the proceeds from the single, a country spin on Flo Rida’s 2015 smash, will go to St. Jude’s Children’s Research Hospital. 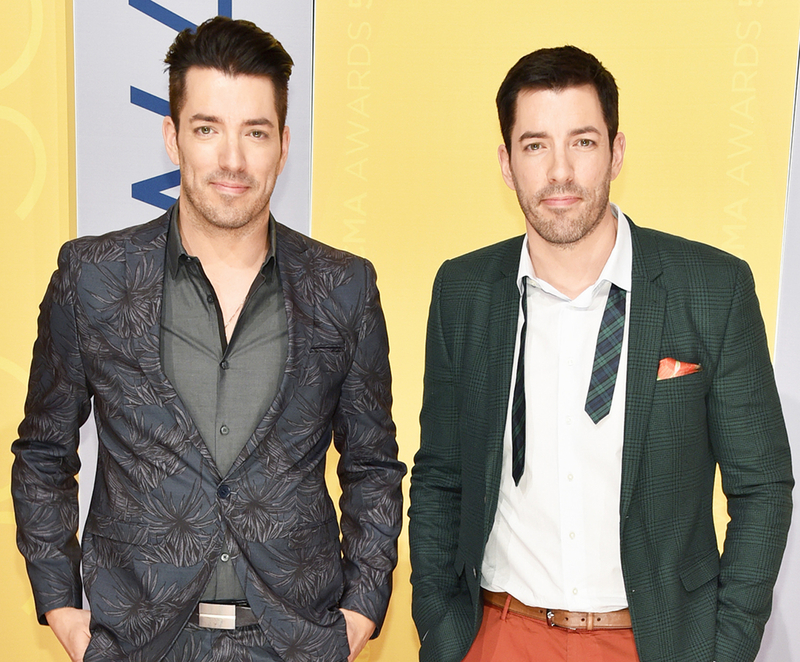 The Scott Brothers currently have four top-rated shows on HGTV. They have cowritten and recorded two other singles, "Hold On" and "Let the Night Shine In." Check out the fun video above!